Halstead creates a suburban Connecticut cover for its portfolio. The Connecticut cover features one of Halsteadís offerings in Darien. Halstead Property has announced the release of the Halstead Portfolio, a bound 140-page book highlighting 900 properties in the tri-state region. This award-winning marketing piece is a destination for information about special properties in coveted areas including Fairfield County, Manhattan, Brooklyn, Hudson Valley and metropolitan New Jersey. With an extensive print-run and an online web component available at www.halstead.com/portfolio, the expected readership nears 1 million. "The reach of our Halstead Portfolio is tremendous," Diane Ramirez, president of Halstead Property, said. "There really isn't another publication that matches our readership, which is why we put such care into its production. Everything is done by our incredibly talented in-house MarTech Division from the design to the layout to the ad copy. The pass-along rate is four times, so we strive to create something that is really special for our customers and resonates with the consumer." Halstead creates two covers for the printing of the portfolio -- one specifically designed for the suburban Connecticut market and the second for the urban marketplace. The Connecticut cover features one of Halstead's offerings in Darien. 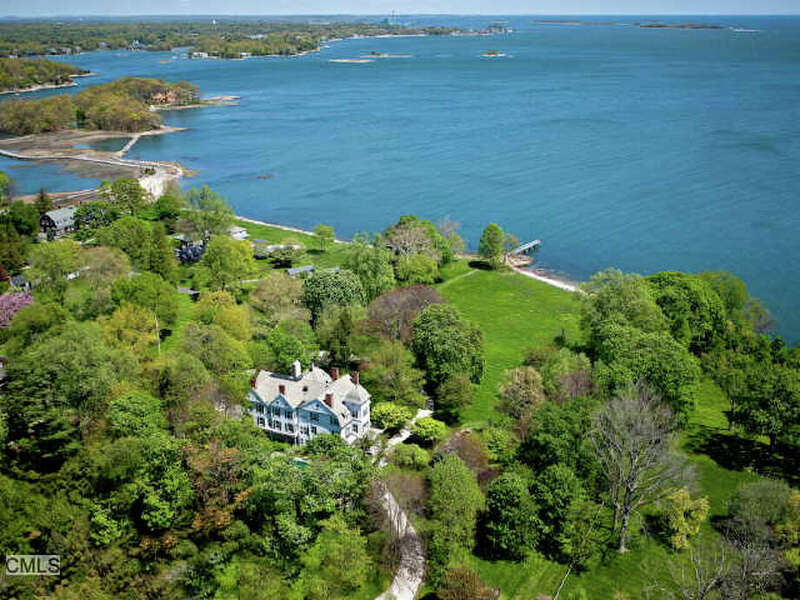 The property, with more than 325 feet of waterfront on the Long Island Sound, is located on nearly 5 acres of sub-dividable rolling lawn and is priced at $11.9 million. Built in the late 1800s, the 14-bedroom, 9-bathroom home has 13 fireplaces and is abound with architectural interior details. Listed by one of Halstead's top producers, Nancy Rawls Dauk, the home can be viewed online at http://www.halstead.com/sale/ct/darien/203-long-neck-point-rd/house/98455030. "There has never been a piece of property directly on the Sound with the subdivisibility possibilities this one offers," Dauk said. "Long Neck Point has a unique history, having been a summer retreat in the 20s and 30s for vacationing Manhattanites who built sprawling homes here. This particular house was built in the 1860s as a secondary home and has been owned by the Crimmins family of Darien for over 100 years." In Manhattan, the property selected for the cover is a 5,000-square-foot loft in the Soho Grand. The home offers a large entertaining space with high ceilings, classic columns, wide-plank flooring and landmark views from a 50-foot wide expanse of mahogany-framed glass doors that open onto a magnificent 19th-century wrought-iron balcony. To view the extraordinary home listed by Halstead's Executive Vice President Richard Orenstein, visit www.halstead.com/sale/ny/manhattan/soho/soho-grand/1981333. The portfolio appeared an an insert in the Oct. 21, issue of The Wall Street Journal to subscribers in Fairfield County, Manhattan, Brooklyn, Gold Coast New Jersey and Riverdale. There are copies available in all 21 of Halstead's tri-state area offices including their newest office in East Hampton. Additionally, it will be distributed at exclusive New York City events. Halstead Property is one of the largest residential real estate brokerage firms in the metropolitan area. Headquartered at 499 Park Avenue, the firm has nearly 950 sales and rental agents primarily located in 21 offices in Manhattan, Brooklyn, Riverdale, the Hamptons, Hudson Valley, Hoboken, New Jersey and Fairfield County. In addition, the Development Marketing Division of Halstead Property is the exclusive sales and marketing firm for many new developments in the tri-state area and through the property management division, Halstead manages more than 18,000 residential units within 180 buildings. To learn more, please visit www.halstead.com.